A team of scholars, led by William Taylor of the Max Planck Institute for the Science of Human History, analyzed horse remains from an ancient Mongolian pastoral culture known as the Deer Stone-Khirigsuur Culture (ca. 1300-700 BC). 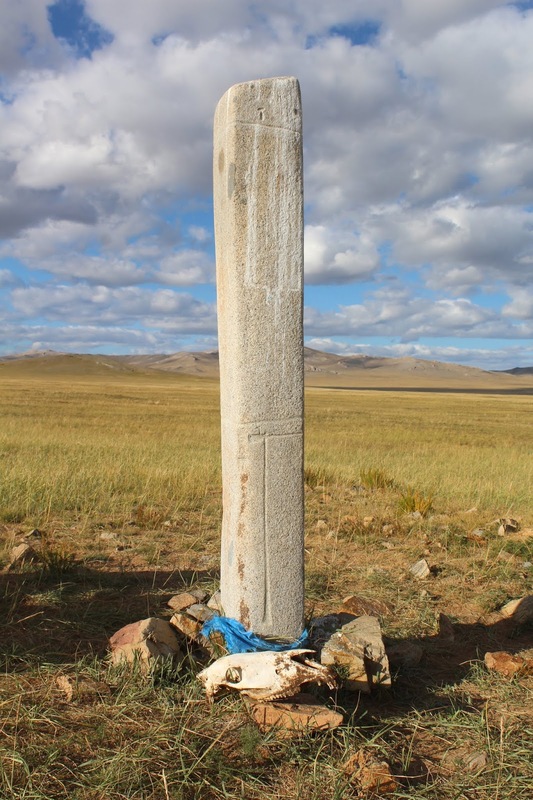 Deer stones, with their beautiful deer carvings, and their accompanying stone mounds (khirigsuurs) are famous for the impressive horse burials that are found alongside them in the dozens, hundreds, or even thousands. 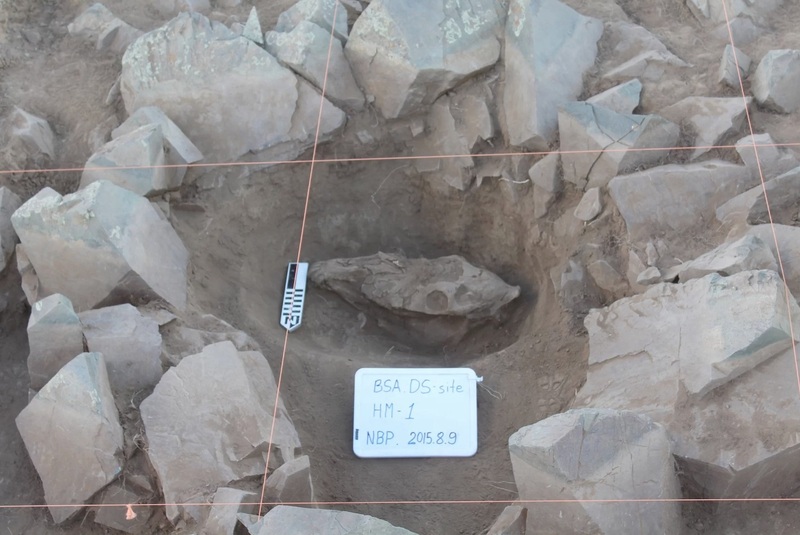 Through careful study of skeletal remains from these burials, published in Proceedings of the National Academy of Sciences and funded in part by a grant from the National Geographic Society, Taylor and colleagues found that Deer Stone-Khirigsuur people began using veterinary dental procedures to remove baby teeth that would have caused young horses pain or difficulty with feeding - the world's oldest known evidence for veterinary dental care. 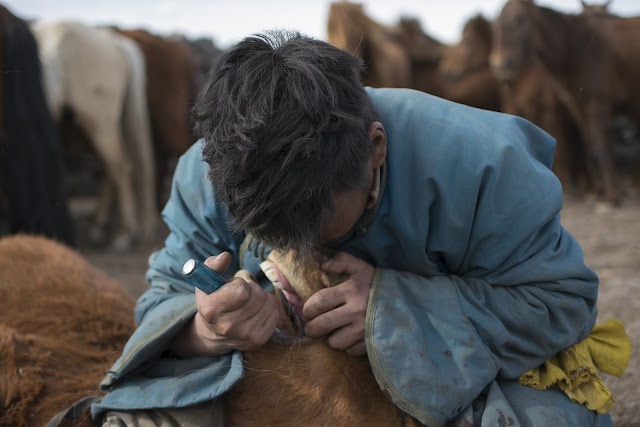 "We may think of veterinary care as kind of a Western science," he says, "but herders in Mongolia today practice relatively sophisticated procedures using very simple equipment. 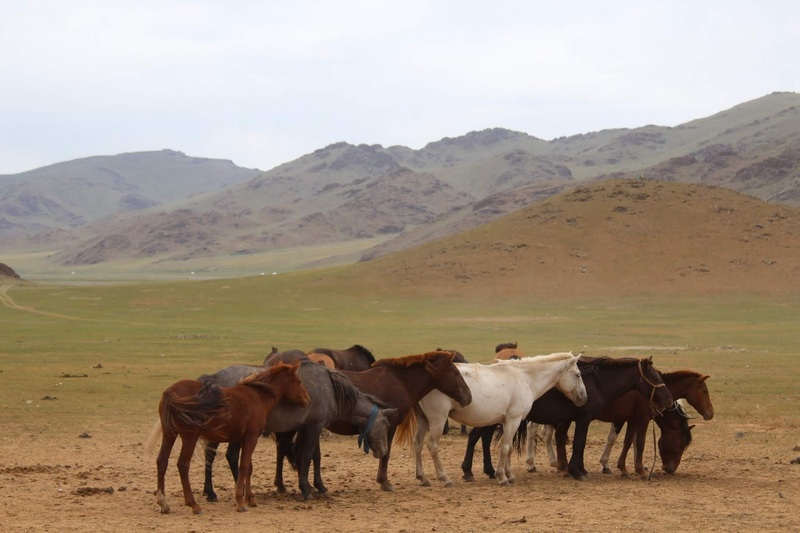 This results of our study show that a careful understanding of horse anatomy and a tradition of care was first developed, not in the sedentary civilizations of China or the Mediterranean, but centuries earlier, among the nomadic people whose livelihood depended on the well-being of their horses." Additionally, Taylor and his team discovered that changes in horse dentistry accompanied major developments in horse control technology, including the incorporation of bronze and metal mouthpieces into bridles used for riding. This equipment, which spread into eastern Eurasia during the early first millennium BC, gave riders more nuanced control over horses, and allowed them to be used for new purposes - especially warfare. However, using metal to control horses also introduced new oral problems, including painful interactions with a vestigial tooth that develops in some animals, known as a "wolf tooth." Taylor and his team discovered that, as herders began to use metal bits, they also developed a method for extracting this problematic tooth - similar to the way most veterinary dentists would remove it today. Nicole Boivin, Director of the Department of Archaeology at the Max Planck Institute for the Science of Human History, explains, "In many ways, the movements of horses and horse-mounted peoples during the first millennium BCE reshaped the cultural and biological landscapes of Eurasia. Dr. Taylor's study shows that veterinary dentistry - developed by Inner Asian herders - may have been a key factor that helped to stimulate the spread of people, ideas, and organisms between East and West."